The 39-year-old born in Dakar worked as Macron's media adviser during his presidential campaign. • She praised her parents and siblings for helping her "break through glass ceilings". 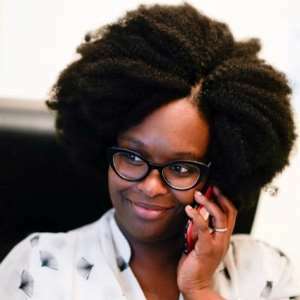 Senegalese-born Sibeth Ndiaye has been appointed as the French government spokeswoman in new cabinet changes made by President Emmanuel Macron. The 39-year-old born in Dakar worked as Mr Macron's media adviser during his presidential campaign. "France has given me a lot. Today, it's my turn to give something back," Ms Ndiaye said at a handover ceremony in Paris on Monday. She praised her parents and siblings for helping her "break through glass ceilings". Ms Ndiaye obtained her French citizenship only three years ago.